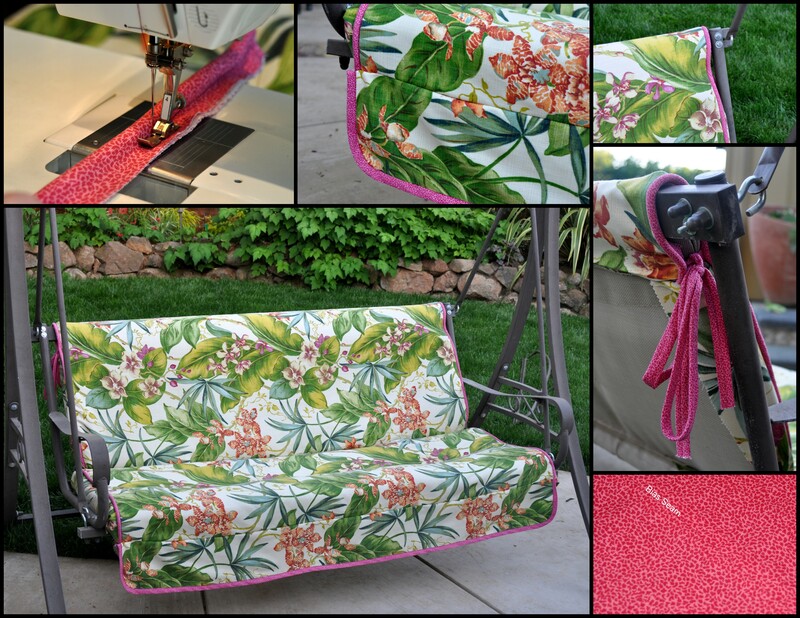 If you’ve been out of the habit of sewing for a while, throw pillows are a great way to get back in the game. They’re quick and easy and they’re a lot of fun. 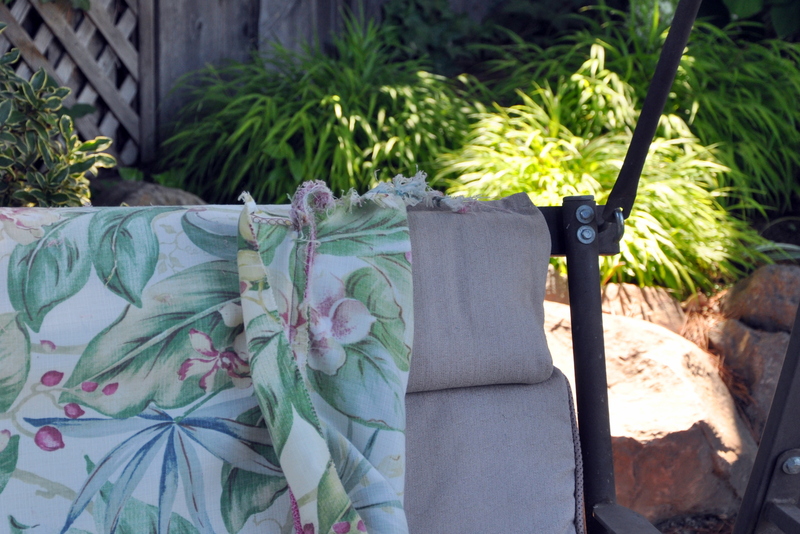 Earlier this summer, while sewing new covers for the deck furniture, I made a couple of toss pillows for the garden swing. I bought a yard of unbleached muslin for a few dollars, cut it in half, and made a pair of fold over slip covers. 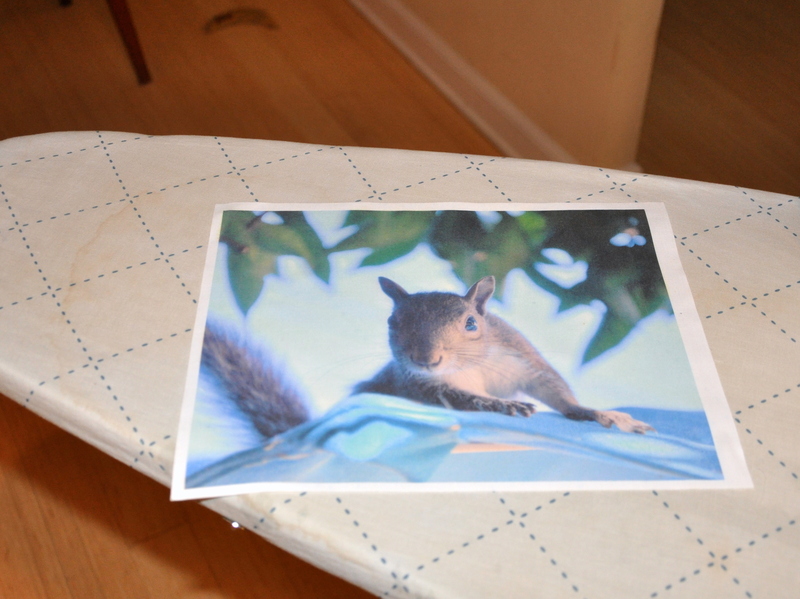 With squirrels as my muse, I enlarged a couple of photos from the garden, then printed them on inkjet fabric sheets. The idea of printing on fabric is still a marvel to me. 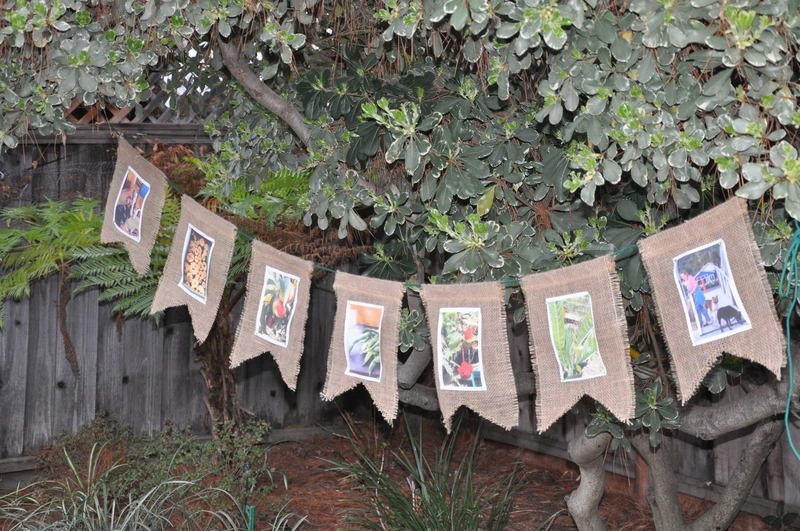 I used printable fabric once before to make a banner (bunting) for Fran who blogs at The Road To Serendipity. 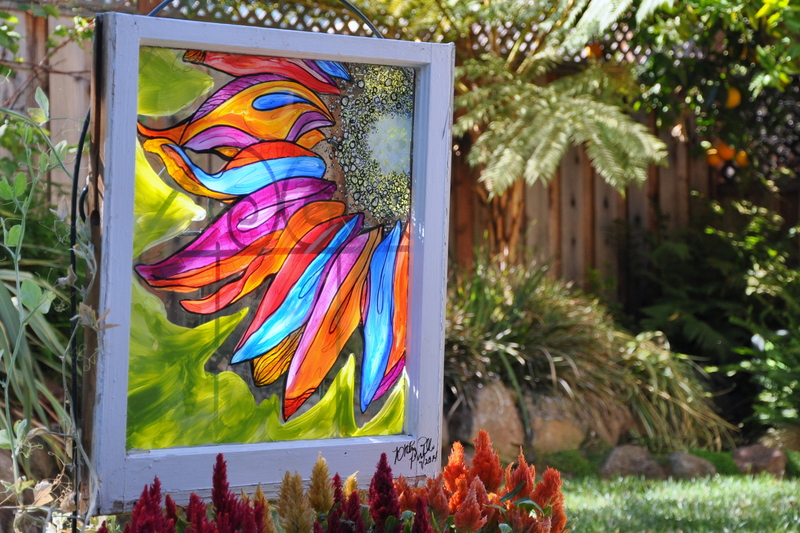 I’ve been searching for a photo-fabric project ever since. 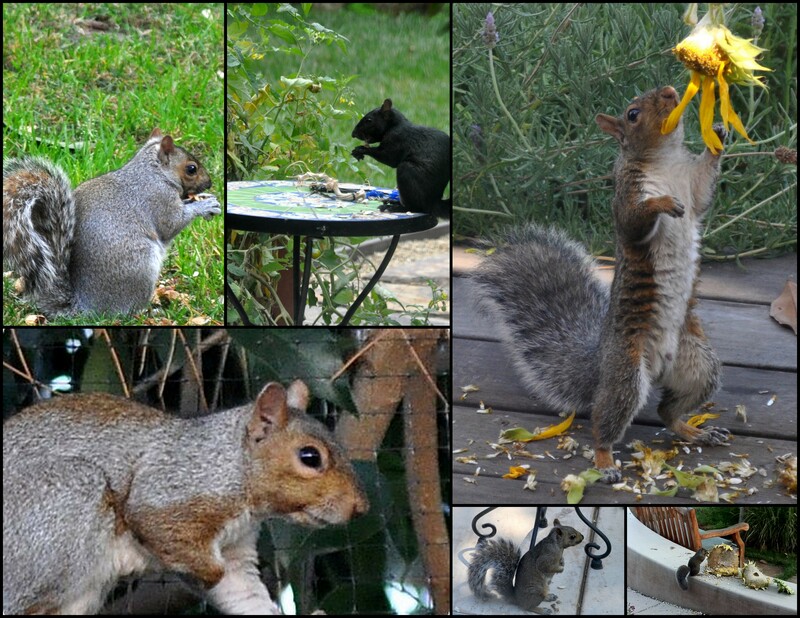 The neighborhood squirrels cause all sorts of mischief, but I love them anyway. 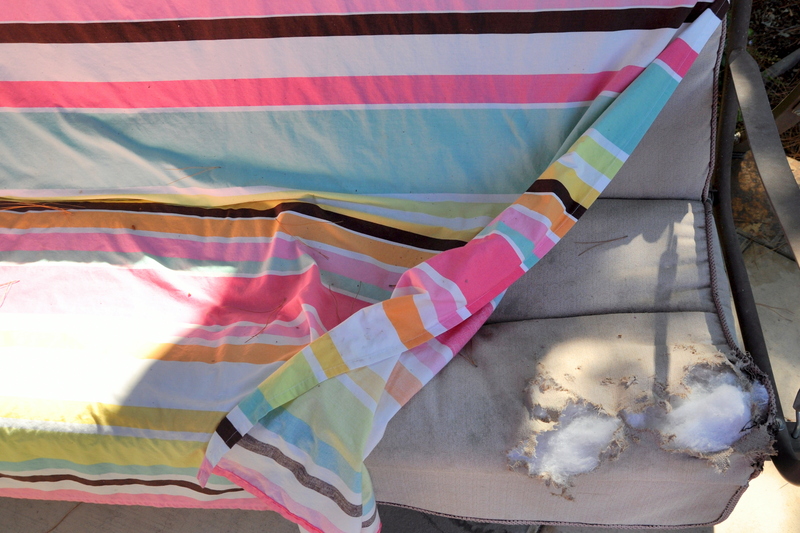 I thought it would be funny to plop a pair of pillows at the “scene of the crime”, the very place where they like to chew on the swing cover. Our half-umbrella. When a full one just won’t do. I didn’t just make covers though. 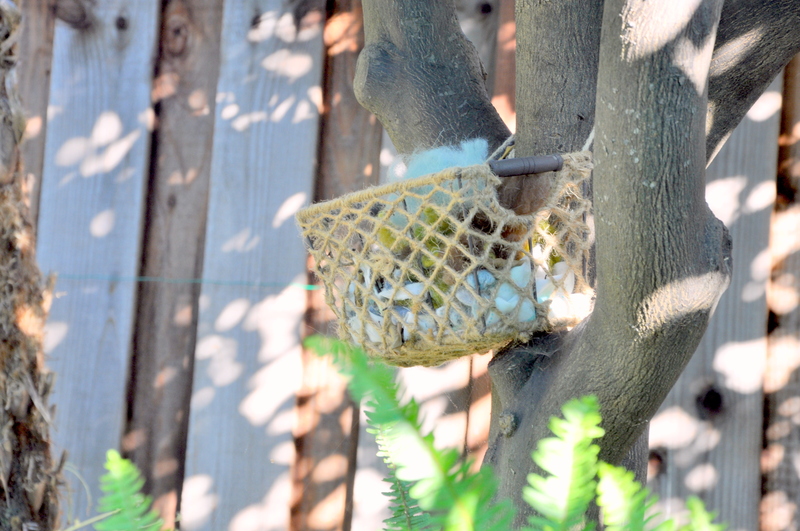 I bought a small, twine basket at the same fabric store and attached it to the tree nearby with a piece of twine. 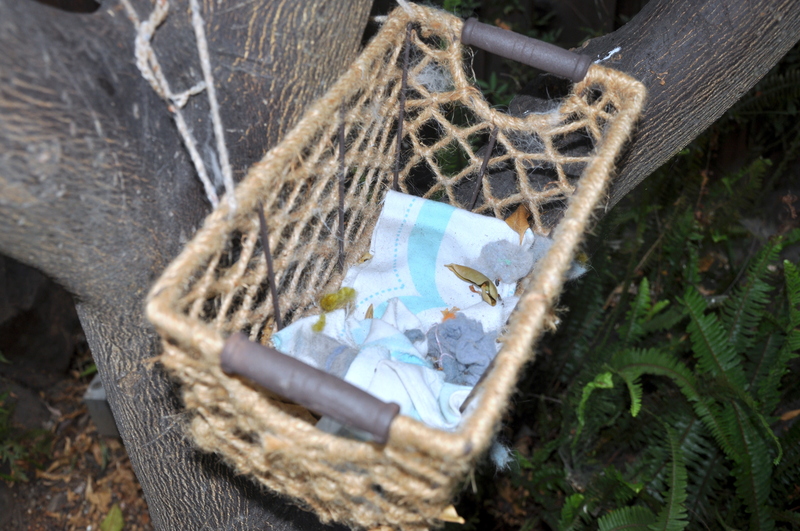 I filled the basket with left over fabric strips, cat fur, soft wool scraps from a felting project AND part of last year’s swing cover, previously nibbled on by the squirrels. Guess what? It worked! 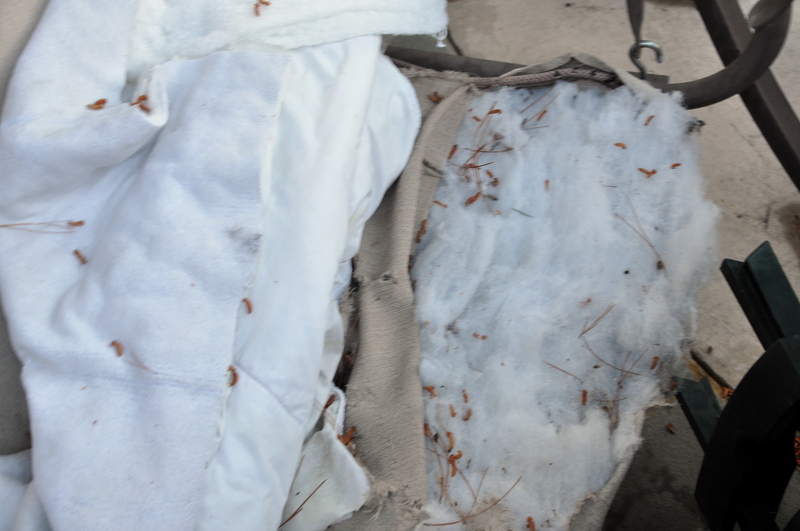 Not only is the swing cover unharmed, at least so far, but the nesting material is dwindling. It sat untouched for a while, then small amounts disappeared. Last week, they all but emptied the basket. Time to refill it, STAT. If you’ve never used the printable fabric sheets, they’re quite amazing. You simply feed them through your printer like a piece of paper. After printing your photo, let it stand for 15 minutes. 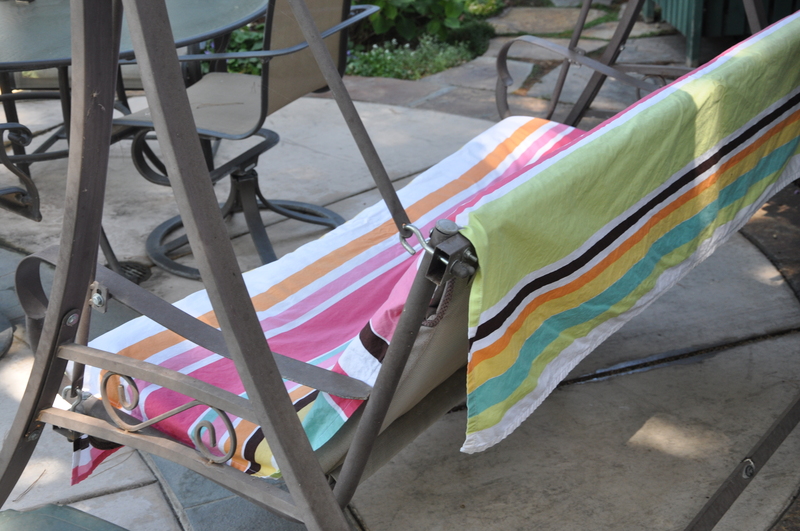 Then you peel of the backing, soak the fabric in room-temperature water for 10 minutes, rinse and lay flat to dry. I used printable fabric sheets from The Electric Quilt Company but there are a number of brands on the market. Here’s one more look at the pillows. I smile every time I see them. It was a dark and stormy night…in my head anyway. I called the sales rep at Airport Appliance, the company that sold us the dryer. I explained that the repairs provided by Meyer Appliance continued to fail. He was courteous and sympathetic, contacted a rep at Fisher & Paykel, the dryer manufacturer, and within an hour I received two calls, one from the regional sales manager. He said they had to make one more attempt to repair the appliance before they could replace it. They want to send out Meyer Appliance again even though they’ve failed to repair it in their shop or in my home, twice. Though they’ve been out four times, they only count the actual attempts at the repair. Meanwhile, the laundry piles up for our family of four as I try to find other ways to deal with my stress that don’t involve reaching for chocolate. Stay tuned. If you’ve been following along, you’ll know that I made a cover for my swing a few years ago after one too many years in the sun and rain. It looked great for a couple of seasons, but last July a nesting squirrel started taking it apart. The soft cotton cording was the first to go. 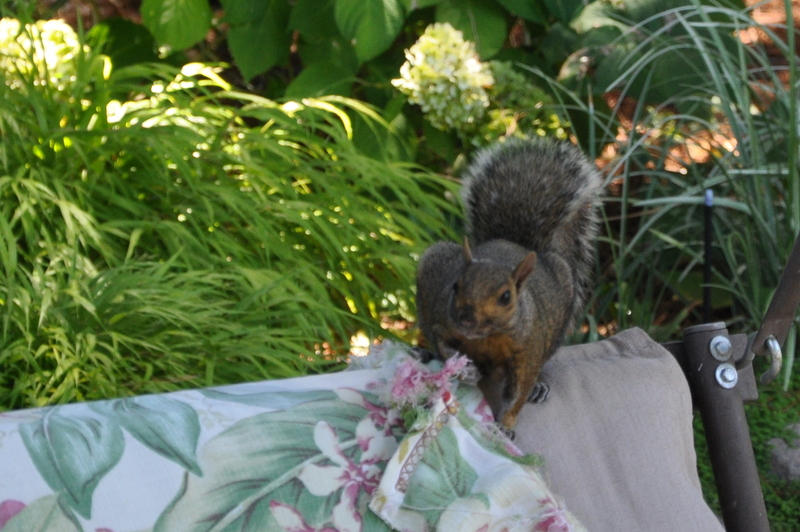 Mama squirrel returned to remove the rest of the upper corner and at that point the cover was beyond repair. Originally I thought I would sew a new cover, but omit the nest-worthy piping. Apparently the poly fill is just as appealing. They’ve been making off with that for the last month as well. My neighbor saw the squirrel race through his yard with a mouthful of white batting last month and thought the squirrel was foaming at the mouth. We had a good laugh over that one. 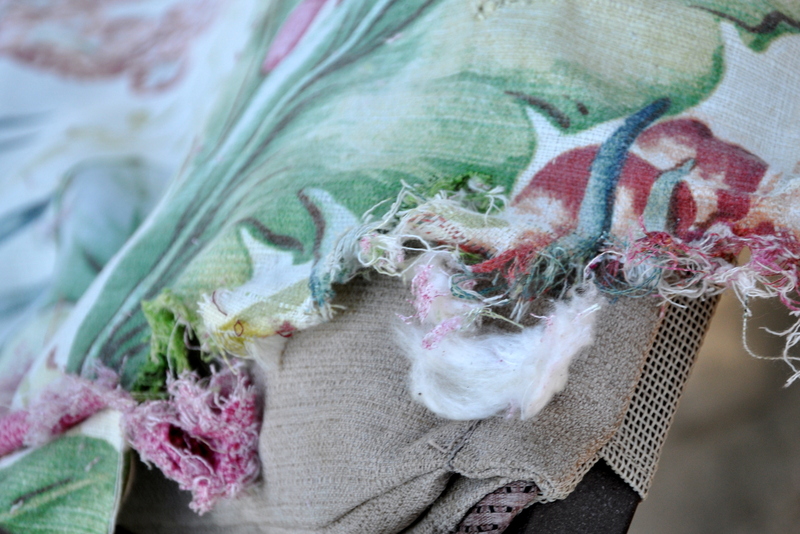 Last week I found a small scrap of the pink fabric used for the piping underneath the orange tree. We now have two squirrel’s nests in the tree in addition to the ‘condo’s going up in our neighbor’s tree. So, what do I do with the swing? At this point, I need to replace the stuffing and make a new cover. 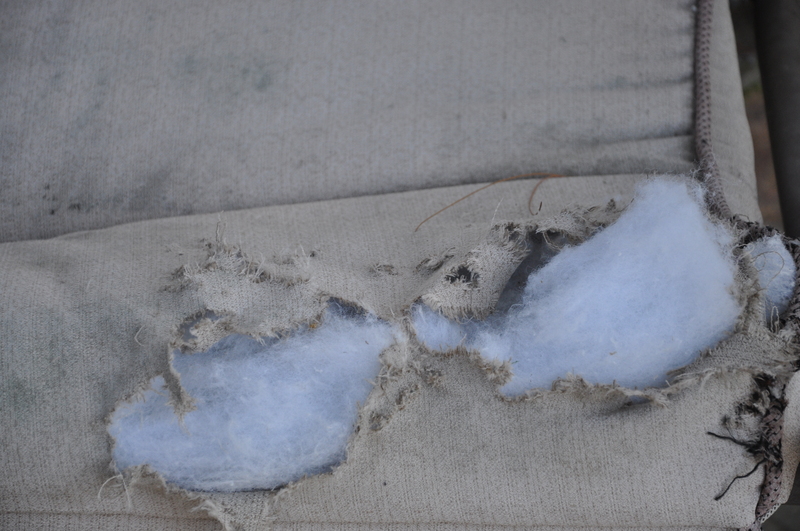 I’m reluctant to spend money on the higher-quality outdoor fabric, only to have it shredded once again, but anything cheaper will fade quickly, so that doesn’t seem like a good use of money either. 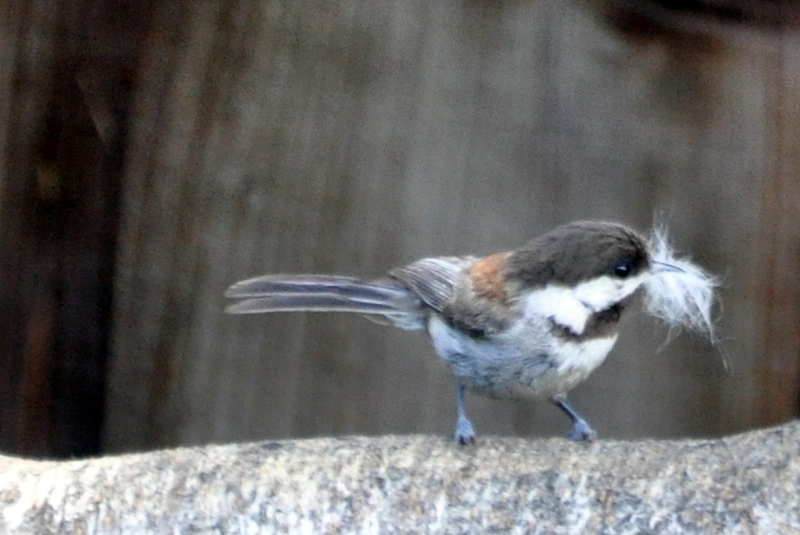 I did provide a nice offering for their nest last year, but it wasn’t enough. 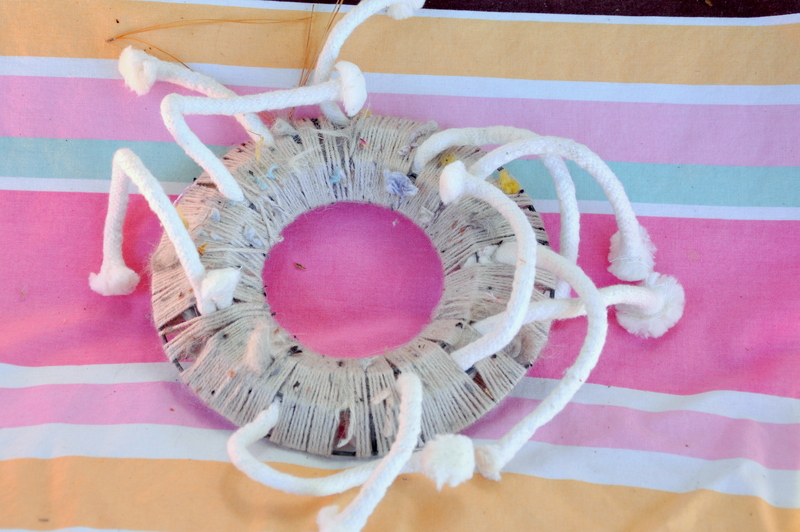 They took all the leftover piping, the strands of yarn, part of the swing upholstery and the batting. 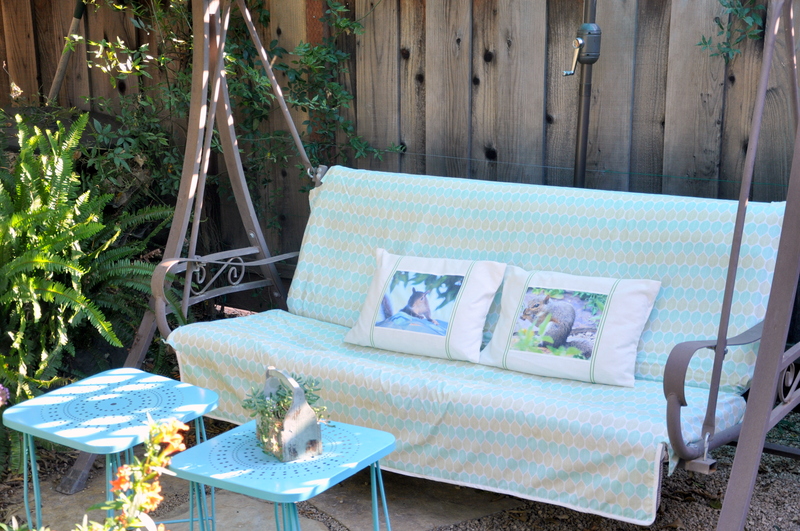 What do garden swing covers and shower curtains have in common? They’re almost exactly the same size. Serendipity! 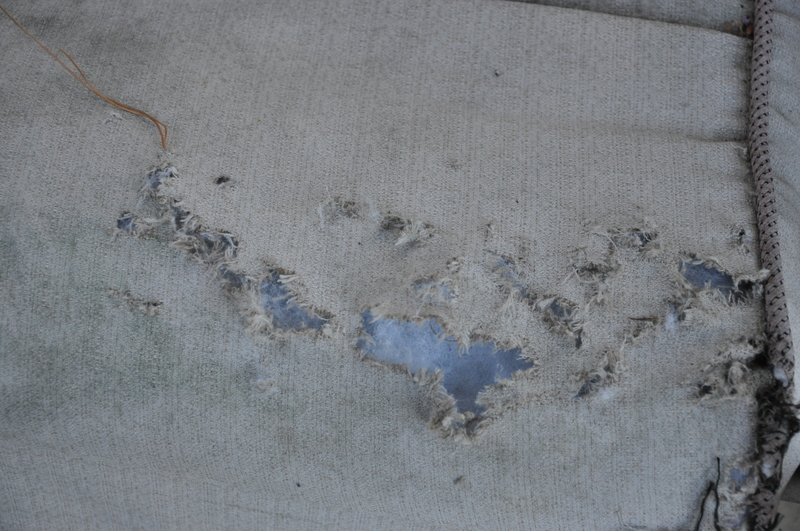 I knew the swing cover I’d sewn was beyond repair. Eventually I brought in the tattered cover, washed it, and put it in a bag in the car. I planned to use it as a pattern when I got around to making a new one. The soft cord inside the piping of the cover seemed to be the prize. 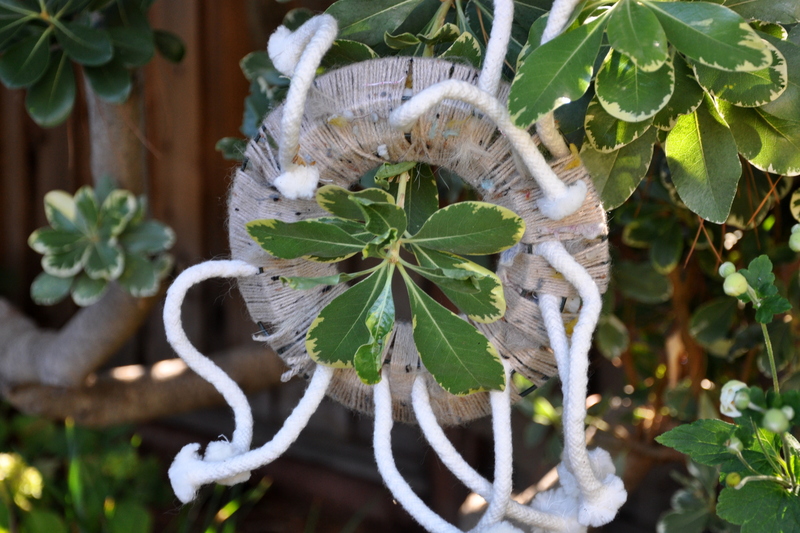 I cut a strand of leftover cording and draped it on the back of the swing to test my theory. Sure enough, I returned home to find it gone. I took the rest of the cord, cut it into strips, and placed it at the scene of the crime. There the cord sat. It sat and sat. No more squirrels. Perhaps nesting was complete for the season. Eventually I brought in indoors, figuring I would put it out again next spring. I don’t want to put the time and effort into a new swing cover, only to have it shredded once again. Sigh. I acted too soon. 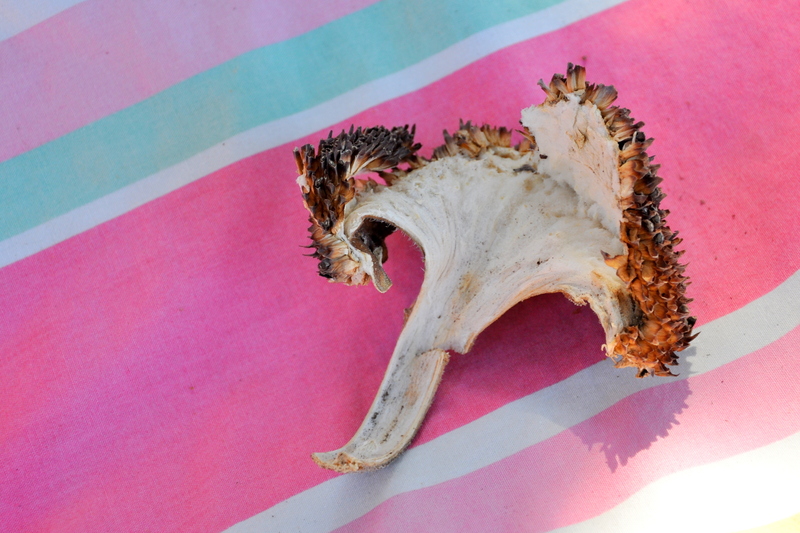 A few weeks ago, an anonymous squirrel was at it again. The swing looked bad enough without the cover when this happened. It was demoralizing staring at the swing in its damaged state, but I couldn’t muster the energy to do much about it. 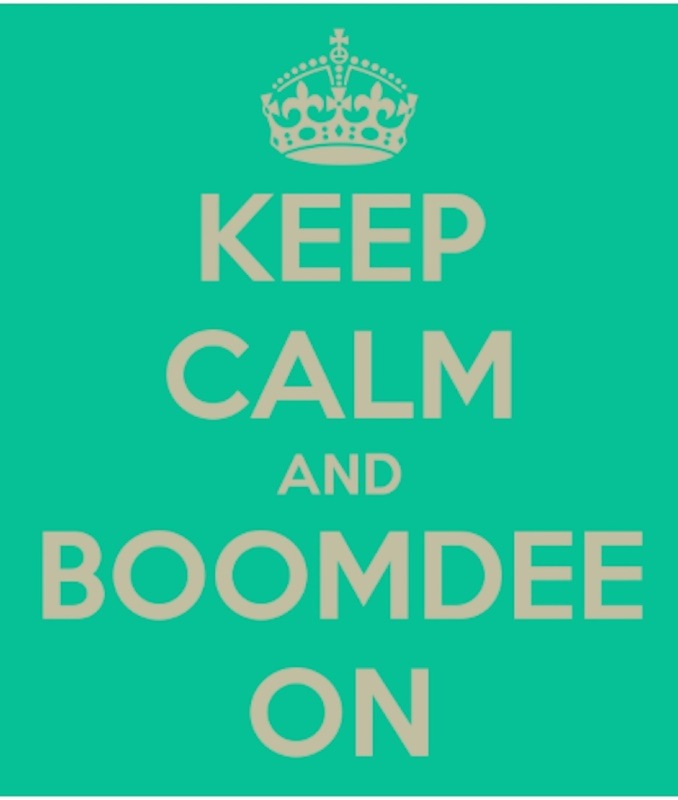 Well, this past weekend the husband of a friend came to call, all the way from Australia. We planned a coffee and catch up in the garden, and I wanted a quick fix for the unsightly swing. 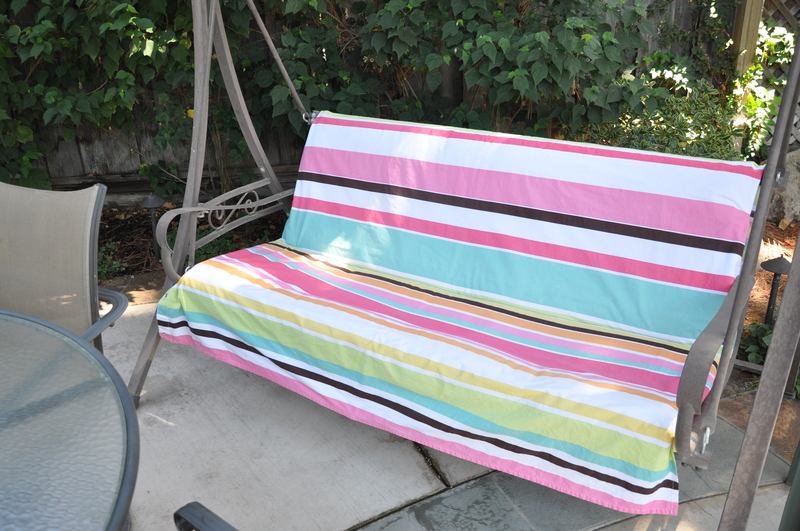 Backing up a bit, three years ago I bought a brightly colored shower curtain to use as a patio tablecloth. I couldn’t find a cheerful tablecloth at the time nor did I have the time to sew one. Twenty-dollars later a tablecloth was born. Now it’s getting a second life as an impromptu swing cover. Serendipity! Shower curtain, side and back. I eventually added binder clips to hold it in place. Although I can’t speak with authority, I expect to see a dray of baby squirrels traversing the wires any day now.